Slice tofu into 1/4 inch thick rectangles. Heat oil in a skillet over high heat. Add the tofu, pan fried for 1 minute, then lower the heat. Cook over low heat on each side for 6-8 minutes or until golden brown. In a bowl, mix the garlic, soy sauce, honey, chili flakes, and sesame oil. Pour the sauce over the tofu. Sprinkle sesame seeds and serve. 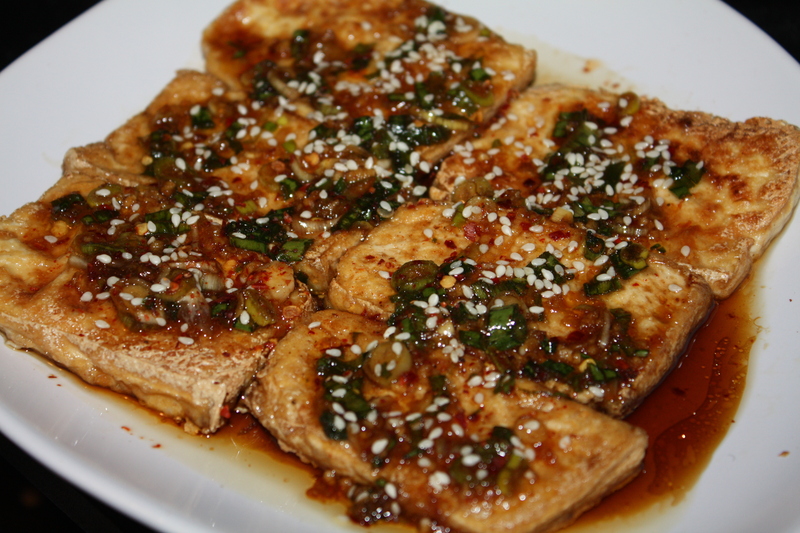 This tofu dish looks delicious. Your food blog is one of the best that I have visited so far. Nice pictures and detailed recipe. Good work!